I reviewed the original edition of Charles Solomon’s Tale As Old As Time book back in 2010 when it was released. I loved the book and appreciated the depth and knowledge that Solomon presented. 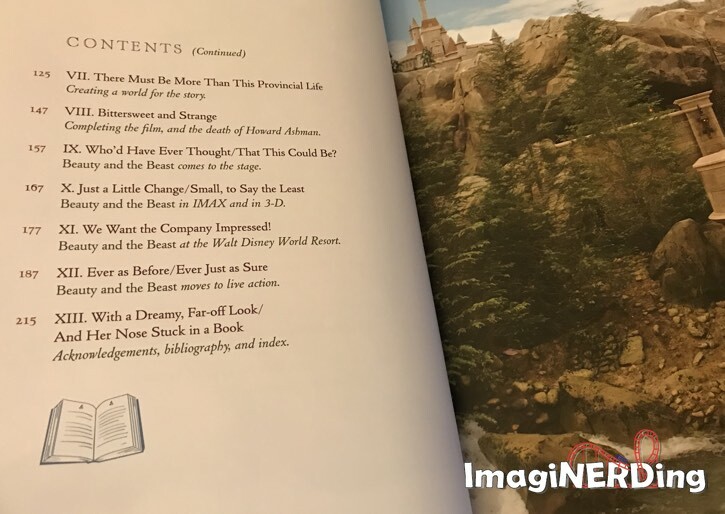 With the release of the live-action movie and the additions of Beauty and the Beast to the Magic Kingdom, I was hoping to see a lot of great updates in the new edition when I received the review copy. Beauty and the Beast fans, regardless of whether it’s love for the animated film or the live-action release (or both), will love this book. Walt Disney World fans will appreciate the section on New Fantasyland at the Magic Kingdom. The largest section of Tale As Old As Time, with more than 150 pages, focuses on the animated classic. There are interviews with the animation artists, the production crew and the individuals behind the creation of the story. There’s a lot of concept are that’s presented and you get a very good look at how the story evolved. You also see that it was a heavily involved process that included changing the original direction (and concept artists) and orienting the new Disney management on making an animated film. Don Hahn offered a lot of insight and anecdotes to Solomon, who deftly wove them into the book to help tell the story of the animated film. The newest sections dealt with the live-action film and the additions to the Magic Kingdom at Walt Disney World. The section on New Fantasyland includes some great photos of the interior of the Be Our Guest restaurant. They also discussed how they came up with some of the concepts for the area and spoke with a lot of the Imagineers about the overall changes. The design of the Lumiere animatronic at the Storytime with Belle attraction was interesting; it was a first for both Imagineering and Walt Disney Feature Animation to work together on a project like this. There is the same section on the Broadway musical, but there was nothing updated from the 2010 release of the book. The section on the live-action is really going to make fans of the film very happy. It was a little bit longer than the section on the Magic Kingdom but there were a lot of different things to cover, including concept art and design. There were a lot of interviews with the cast; it was nice to get their perspective on remaking a classic animated film. You really got the sense that all of them revered the film and took their roles very seriously. They knew that they were messing with a movie that people were passionate about. 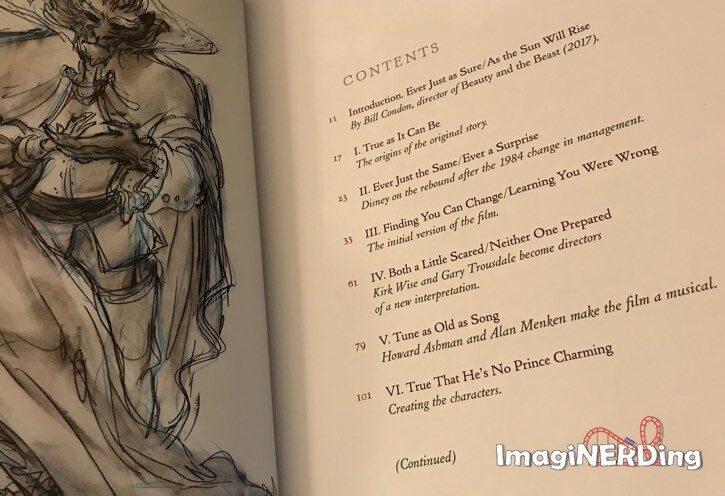 Tale as Old as Time: The Art and Making of Disney Beauty and the Beast (Updated Edition): Inside Stories from the Animated Classic to the New Live-action Film by Charles Solomon is a definite purchase for fans of Beauty and the Beast. It’s full of concept art, animation stills, storyboards and photos of all of the crew involved in both films. 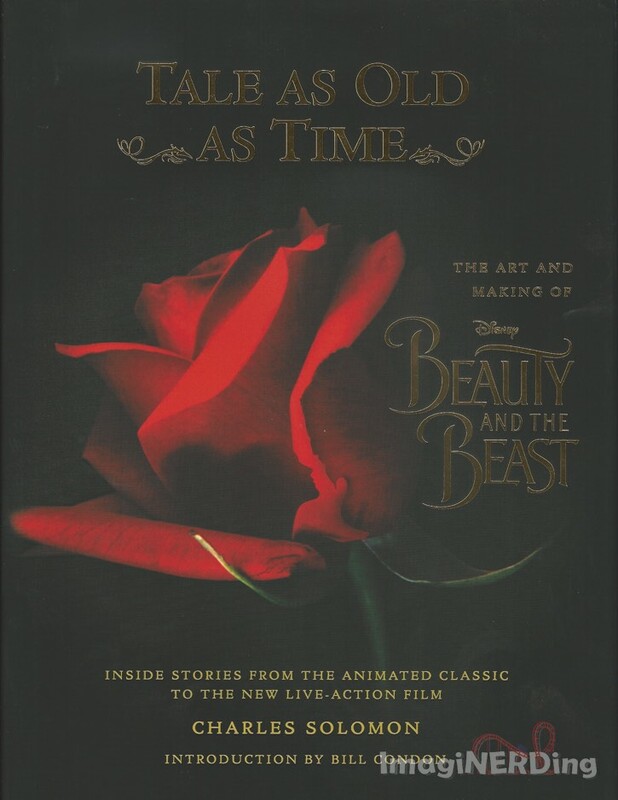 Are you going to pick up Charles Solomon’s Tale As old as Time book?